The key to transport efficiency is superior loading performance. 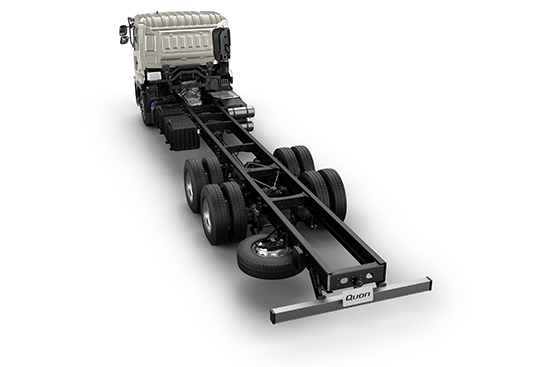 To improve loading performance, Quon uses high-tensile-steel plates for the main frame to reduce vehicle weight. 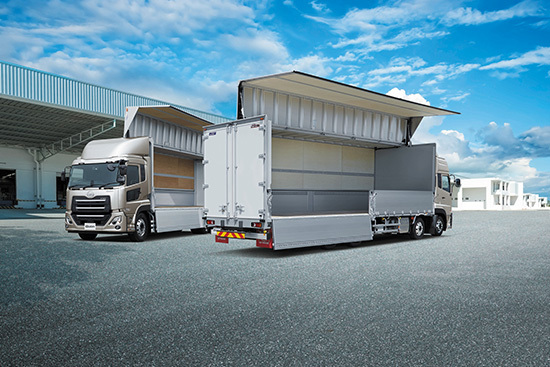 Our chassis designs also emphasizes body-mounting efficiency to achieve the "Perfect Quon". Disc brakes and high-tensile-steel plates for the main frame reduce weight to improve overall productivity. High-tensile-steel plates and optimized frame cross-section height maintain strength while reducing weight, achieving further improvements in loading performance. Increased adjustment range for 6x2 and 6x4 models optimizes height adjustment for the loading environment. Generous adjustment width of +140 mm and up from neutral further increases cargo-handling ease. Uneven load-adjustment function automatically adjusts any lateral differences in height on trucks with air suspension, improving cargo handling when loading from the side. “Perfect Quon” comes with wide variation, option and short delivery time. 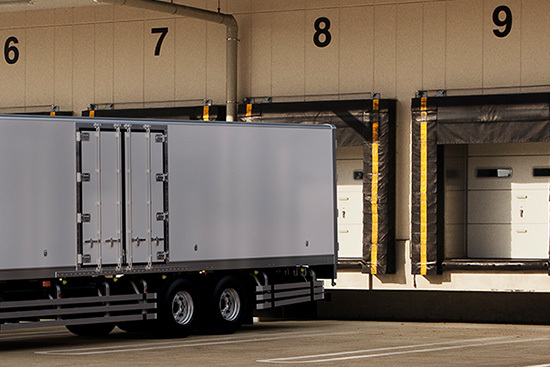 Quon completed vehicles benefit from the variations of dry wings and direct-coupled refrigeration wings, plus a starter lock as standard, further improving safety.